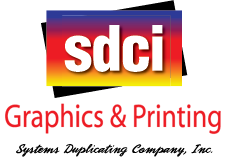 SDCI.NET Systems Duplicating Company, Inc.
Systems Duplicating began as a family business. The owner knew that in order to stay in business and prosper in business, he had to provide more than good service and competitive pricing. You need to partner with your customers, not only reacting to their requests, but also posturing yourself for their unexpected crises. These same principles are still prevalent in our daily operations.